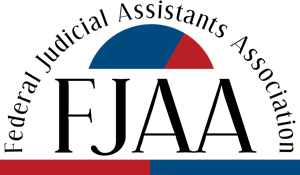 The FJAA Scholarship Program shall be administered by the Professional Development & Continuing Education Committee (PDCEC) to enable and assist members in good standing to pursue their educational goals and professional development by taking courses and attending seminars and workshops to provide additional knowledge and skills to enhance job performance. (A) The PDCEC will administer the scholarship program by the rules set forth herein. If the PDCEC determines a need for any modification or change in the rules for the administration of the scholarship program, they shall bring it to the attention of the FJSA Executive Committee for action. (B) The PDCEC will review all applications and award scholarships to deserving individuals who meet the qualifications, within the financial limitations of the program. (C) The PDCEC will report directly to the Executive Committee. (A) Unless otherwise approved by the Executive Committee, the minimum amount allocated for the Scholarship Program per calendar year shall be $500.00. Any monies not awarded in a calendar year will be carried over to the next year. (B) The amount awarded per individual scholarship may vary as determined by the PDCEC, depending upon the available funds at the time of the application process. A member may apply for funding for more than one course/program, however, priority will be given to members who have not previously received a scholarship. (C) The course or training program for which the scholarship is used does not have to be applied toward a degree, but must be work or career-related so that the courts as well as the individual recipient benefit. (D) Upon completion of the course, seminar or workshop, the scholarship recipient shall write a brief article for the FJSA Newsletter (“In Brief”) and provide proof of successful completion of the program to the PDCEC. (E) If the scholarship recipient does not successfully complete the program for which funds were provided, the recipient will be required to return the funds to the Scholarship Program. (F) The deadline for receipt of applications shall be May 31st (must be postmarked by May 31st) or August 31st (must be postmarked by August 31st); no extensions will be granted. (G) The approval of applications and a decision as to the awards shall be made by PDCEC no later than July 15th or September 30th respectively. (H) The applicants will be notified by phone or mail by July 15th or September 30th respectively. (I) Should one of the members of the PDCEC be an applicant, the President or someone appointed by the President, shall substitute for the PDCEC member in reviewing the applications. Any FJAA member in good standing. (A) Eligible individuals shall submit completed application forms to the PDCEC by May 31st or August 31st respectively. (B) Applications postmarked after May 31st or August 31st will not be considered.